We’re excited to announce that Aaptiv’s workout programs have gotten a makeover! We’ve heard from many of you that our programs help keep you committed to your goals but you want them to be updated regularly, and that you’d like to see programs that feature multiple trainers. Starting today, you will find 12 refreshed programs in the Aaptiv app. All come complete with a downloadable PDF that includes a calendar so you can plan your week of workouts. Determine what new program will work best for you based on the guide below. Go into your existing program and locate what week you are on. Finish your current week’s classes within that program. Start the following week within your new program. Please note: Due to the length of the half marathon and marathon programs, the updates are quite extensive and therefore we cannot give exact timing on when the new and improved programs will be live. We realize the implications that this can have on your training schedule, and weighed all of the options before coming to this decision. Ultimately, we decided that we need to remain committed to delivering only the best experience. If you are unable to finish your training by April 30, we recommend using this training guide. 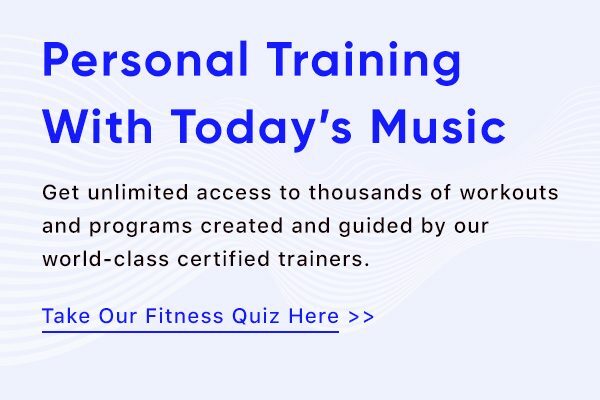 You can still use it after the program has been taken down and it provides a week-by-week breakdown of the types of workouts/rest days you should be doing leading up to both a half marathon and full marathon race day. Please let us know if you have any questions or how we can best support you during this transition by reaching out to support@aaptiv.com. Meditation is the key to better health and well-being. It can reduce stress and chronic pain, as well as encourage better sleep and a stronger sense of self. Learn the basics of meditation, plus how to grow your own meditation practice, with the help of Aaptiv trainer Jade Alexis, who will guide you through daily meditations that will calm your mind. This 21-day meditation program—led by Aaptiv trainers Jade Alexis, Nicole Sciacca, Ceasar Barajas, and Jess Ray, who each offer a fresh perspective on meditation through their personal experience and wisdom of practice—will help you increase the consistency and duration of your meditations. Each week one of our four inspiring trainers will guide you through a different daily meditation, as well as a weekly sleep meditation to be done every night for seven nights. By dedicating yourself to this daily meditation practice, you’ll connect to your breath, intention, and greater life purpose; plus, you’ll benefit from reduced stress, a better mood, and improved sleep. In this seven-day program, you’ll learn the basics of yoga postures, vinyasas (or a sequence of postures), and breath work. By committing to seven consecutive days, you’ll experience the benefits of yoga practice—increased mobility and a greater connection to your physical and emotional being. Classes in this program are taught by Aaptiv trainers Jade Alexis, Nicole Sciacca, Ceasar Barajas and Jess Ray. Over the next six weeks, you’ll be supported by five Aaptiv trainers as you complete three workouts per week, utilizing a combination of cardio and strength training movements. This well-rounded approach will motivate you, increase your energy, and help to regulate your blood pressure as you begin your weight loss journey. You’ll also gain the confidence to complete other Aaptiv workouts and programs. You’ve successfully completed Introduction to weight loss, now you’re ready for our expert-driven weight loss maintenance program. During this six-week program, you’ll complete four workouts per week led by one of eight Aaptiv trainers, plus a couple of advanced workouts that combine cardio and unilateral strength training. By continuing to make weight loss a priority, you’ll not only benefit from improved health, but also gain a deeper sense of commitment to your fitness goals. If you’re new to fitness, want to increase your cardio movement, or dream about running one mile without stopping, then this program is for you. 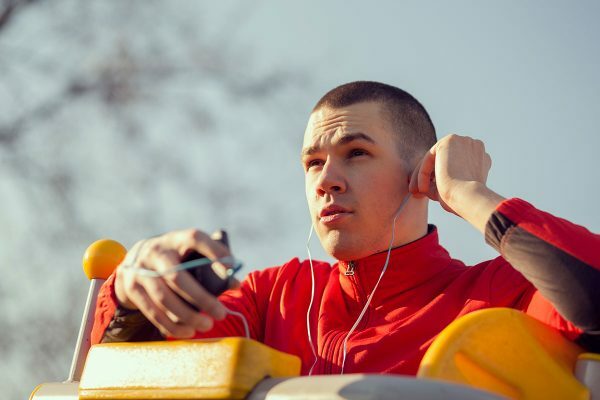 Over the course of four weeks, you’ll complete three runs on either a treadmill or outdoors, as well as a stretching session, while being encouraged every step of the way by Aaptiv Trainers John Thornhill, Rochelle Baxter, and Jaime McFaden. You’ll complete two trials—during the first week to record your time, and again in the fourth week to track your progress—but it doesn’t matter whether it takes you eight, ten, 12, or more minutes to complete the mile, it’s all about your running journey. Success will be determined by whether or not you learn the necessary skills to run one mile, gain confidence in yourself, and have fun while doing it. You know that stretching is essential for a safe and effective exercise regimen, but perhaps you’re just not as limber as you’d like to be. During this two-week program, which is led by five Aaptiv trainers, you’ll complete one stretch per day that ranges in duration from five to 20 minutes. 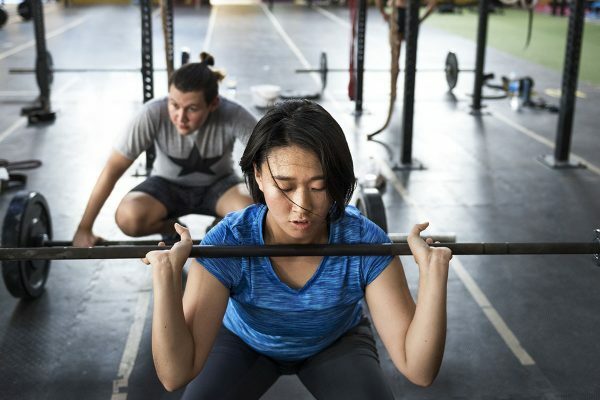 Whether you’re a beginner or an advanced athlete, by focusing your energy and effort as you follow this program, your body will move more fluidly and you’ll be touching your toes by day fourteen. This intermediate to advanced level program, led by Aaptiv Trainer Ackeem Emmons, incorporates a variety of cardio and strength training workouts for a total body conditioning routine. Over four weeks, you’ll cycle through five workouts per week that include treadmill work, strength training, and outdoor running—all of which will leave you feeling leaner, faster, and stronger. Take the first step toward healthy living by following this four-week, beginner-friendly exercise program. Each week you’ll be led through three elliptical workouts by Aaptiv Trainers Jaime McFaden, John Thornhill, and Katie Horwitch, that will increase your endurance and deliver results. Each of these trainers will inspire you beyond the elliptical and into your next Aaptiv program or fitness journey. Get race ready in six weeks by following this comprehensive training program led by six Aaptiv trainers. Each week you’ll complete three treadmill or outdoor running sessions, which include a variety of interval, tempo, speed, endurance, and recovery runs. You’ll also do one core-focused strength training day. So, lace up and get moving! Whether you’re a seasoned runner looking to hit a new PR or you’re pushing to finish your first 10K, this ten-week comprehensive training program—led by six Aaptiv trainers—will help you get to the finish line. You’ll complete four treadmill or outdoor running sessions, which include a variety of interval, tempo, speed, endurance, and recovery runs. A more efficient and effective runner is within you, so get moving! *Please note, the Crosstrain to 10K program is still under construction and not yet fully updated! Train your body safely and effectively through the second and third trimesters of your pregnancy by following this 27-week program—starting on week 13 and concluding on week 40—created by Aaptiv’s pre- and post-natal certified trainers (and fellow moms). Each week you’ll complete three workouts, which feature a combination of cardio and strength training movements, that are appropriate for the unique physical changes that your body is going through, and will help to prepare your body for labor and delivery.